India has long been a popular place for travelers from all over the world to explore and discover a unique country which has so much to offer. Whether it be touring through the rural landscape of this great nation or taking time out in the bustling cities, India is truly a trip like no other. On a personal note, one of my favorite things to do in India, is to eat, the food here is so varied, so tasty and so plentiful that you could spend 3 weeks there and not try it all. If you are heading to India any time soon and want to indulge in the finest cuisine, here are my 6 favorite dishes for you to try. This beautiful dish consists of a rice base which is served using the delicious raita yogurt as well as some salad, usually cucumber. The rice is served in a biryani sauce which is made of cumin, coriander and tomatoes and then mixed with chicken or chicken tikka. AS with many of the Indian dishes, you can enjoy a vegetarian variety of the biryani dish and it can be found in restaurants throughout the country. This is the most common curry which you will find throughout the streets of India and it is the perfect snack to pick up when you are trying to save some money. The sauce of a chaat is made using Tamarind, onions, tomatoes, chill powder and vermicelli and the sauce can be mixed with a variety of different meats and other ingredients for the perfect comfort food. This beautiful bread dish can be eaten at any time of the day and it will fill you up for quite some time. The bread is made with white flour and then deep fried before serving, the bread is served with a variety of side dishes such as chick peas, yogurts, chutneys and sauces and it is by far and away my favorite way to start the day. The samosas in India taste far superior to any which you will have tasted before in your home country and they act as the perfect daytime snack. The samosa is white flour pocket which has been filled with any variety of ingredients from potatoes, garam masala, onion, chill powder, salt and fennel, before being deep fried and served with some tasty sauce. Vegetarians and vegans love Indian food because of its almost non-reliance on meat and with dishes such as Sag Aloo, it is easy to see why. This dishes consists of spinach (sag) and potatoes (aloo) and it can be eaten at any time of the day. The mixture of veg is usually given a flavor punch with some spices and tomato based sauce and it is a flavorsome and filling dish. 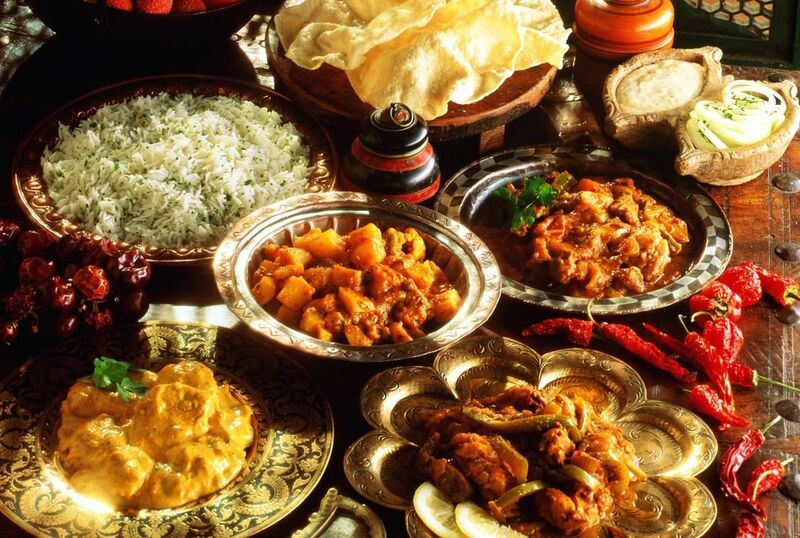 I could write for pages and pages about the stunning food in India and the only thing I would say to you is that you should try your best to try as wide a variety as you possibly can.